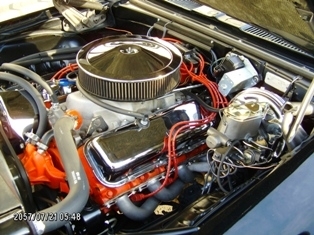 Larry’s 1969 Camaro was purchased in May 2000 when he came across it in a storage shed . Larry was actually there to look at a motorcycle, but after seeing the familiar shape of a 69 Camaro under a cover in the back of the shed, he asked about it. 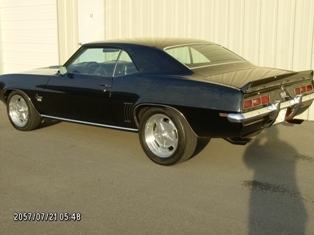 A deal was struck and Larry went home with a Harley and a 1969 Camaro… an expensive day but a good one! The Camaro had just 39,545 miles on the odometer with paperwork to back that up. 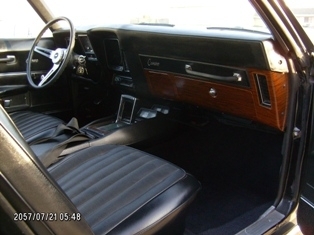 The gentleman that sold Larry the car had picked it up in Sacramento, CA in the late 70’s with a blown 396. 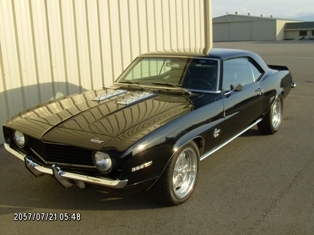 He had thrown together a 427 and put a “20 footer” paint job on the car and called it good way before Larry found it. Unfortunately a divorce happened to Larry and not only did he and his wife separate, but he had to part with the Camaro as well. As luck would have it, the buyer of the Camaro called later called Larry and said that he needed to sell the Camaro. The price was right and Larry had the cash and bought it back. 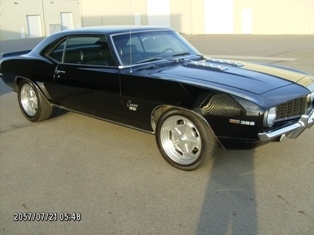 Larry says that this time his 6199 Camaro will stay his!